I almost forgot to post about my latest cake creation! 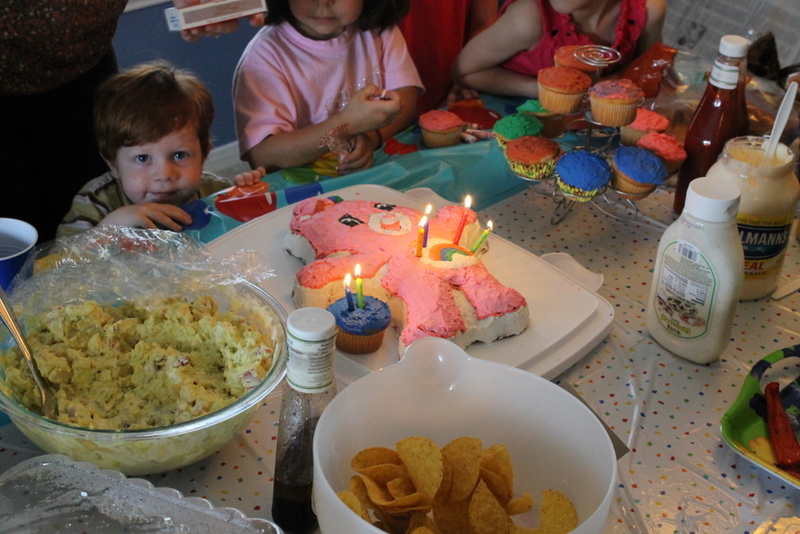 This one was for Matilda’s 4th birthday and Matthew’s 2nd birthday. We had a joint celebration. I didn’t get a better picture. It took me forever to make this cake because I had an icing malfunction. It was still a big hit!